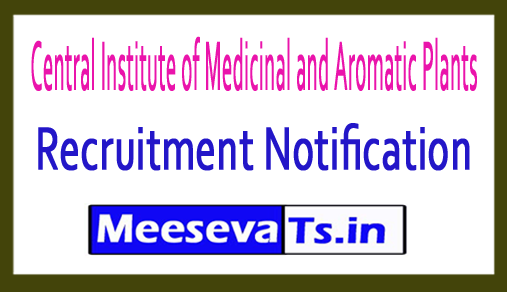 Good news for the candidates is given here, which are waiting for jobs at Central Institute of Central Medicinal and Aromatic Plants. CIMAP has issued the latest job notification for 49 RA, JRF, PA-1, II, III job vacancies. Walk-in interviews are being organized for eligible candidates for posts of RA, JRF, PA-1, II, III. Interested and qualified candidates who are looking for CIMAP jobs can participate in the walk-in interview with the application, which is to be downloaded through the official website cimap.res.in. Ra-i: m. Farm (Pharmacognosis) with 2 years experience. RA / JRF: MSc (Chemistry) with Net, Ph.D. Selected candidates will get Rs 12,000 - Rs.6,000 / - from the organization. Interested and qualified candidates can participate in the walk-in interview at the bottom with the application form available on April 11, 12, 2018, official website cimap.res.in. Participants need a walk-in interview which is to bring the original certificate with Xerox copies.